“I’ve always wanted to be a mum. So after marrying Lee, we started to try for a baby straight away. But although we conceived quickly, I experienced an ectopic pregnancy, collapsing at school. I was given an emergency laparoscopy and had to stay in hospital, which was a scary experience. This was followed by two miscarriages. It was a testing time for our marriage. “We went to see our GP to understand why this was happening. Tests revealed the ectopic pregnancy had caused scarring in one of my fallopian tubes and the other tube was also damaged, possibly from an old infection. Whilst this didn’t explain my miscarriages, it exposed that I was at a high risk of ectopic pregnancy, so even if we could conceive again, it wouldn’t lead to a birth. Our only safe option was IVF. Arriving at Oxford Fertility, we were surprised, as it didn’t look like a hospital. This was a good thing, especially after what I’d been through. It was clean, modern and everyone was very friendly – it ticked every box. “I was devastated. I remember a friend trying to comfort me, reassuring me that ‘some people aren’t meant to be mums’. I started to think that maybe this is how things were meant to be. Even now this idea makes me cry. But Lee pulled me through, he knew I’d always wanted to be a mum and encouraged me to not give in and pursue treatment. 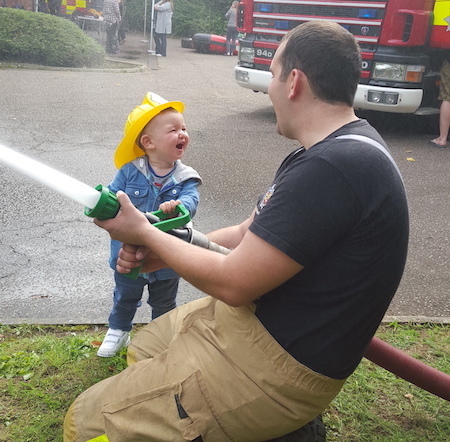 As a firefighter, he has to be resilient, to adapt and change to overcome situations. I could see these qualities coming through. “So we applied for IVF treatment with Milton Keynes Clinical Commissioning Group. 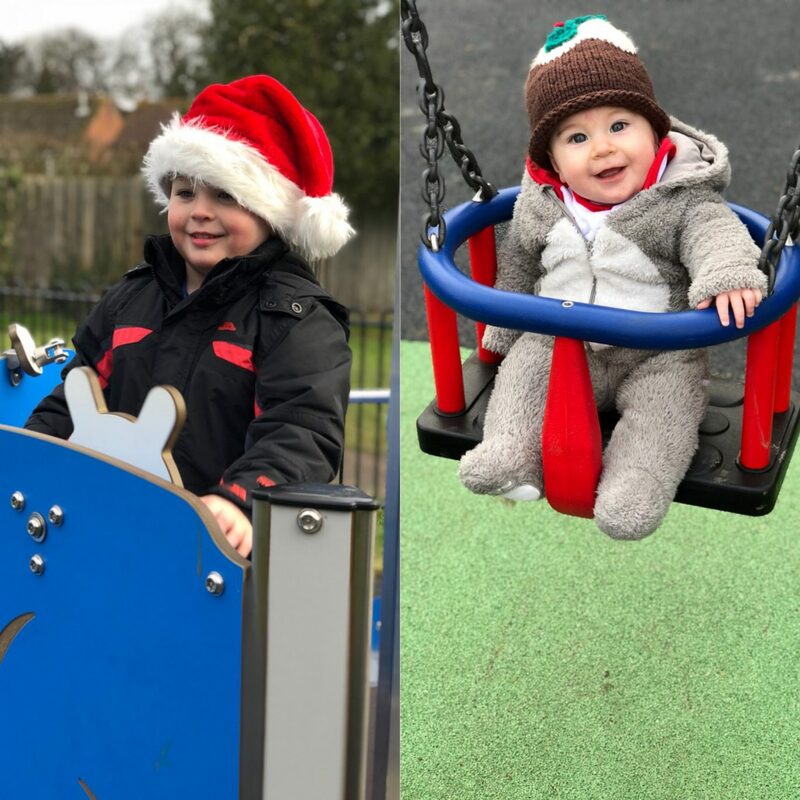 We were told that it could be a six week wait to hear if our treatment could be funded, so we braced ourselves, but we actually received a ‘yes’ in just one week and the CCG referred us to Oxford Fertility. We had already started our own research into the different clinics in the area, looking at success rates and reviews, and so we were thrilled that they had chosen Oxford Fertility for us. 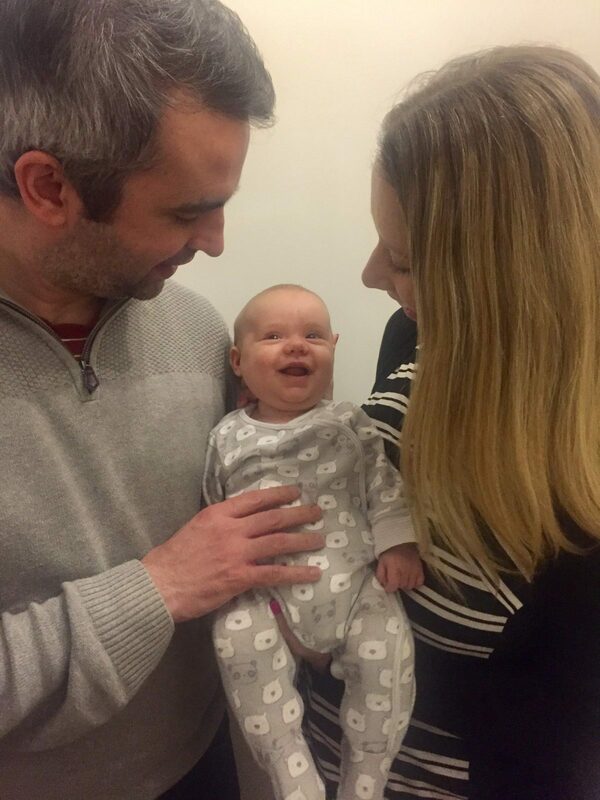 “Arriving at Oxford Fertility, we were surprised, as it didn’t look like a hospital. This was a good thing, especially after what I’d been through. It was clean, modern and everyone was very friendly – it ticked every box. The nurses and consultant were very positive, answered all of our questions and gave us material to take away and read. This was very helpful, as it was a lot to take in. “The clinic also has a fantastic counselling service that we could access. It was so reassuring to know that they care about emotional wellbeing. “Treatment seemed to pass very quickly. I remember taking my first nasal spray whilst away camping; we had lots of alarms set, so that I didn’t forget. Then before I knew it, we were ready for the embryo transfer. We had produced ten embryos, but over the days the numbers went down from ten, to seven, to five. But luckily there were two very good quality embryos, so one was transferred and the other frozen in case we wanted to try again. And I couldn’t believe it when two weeks later, we discovered it had worked. We were pregnant! 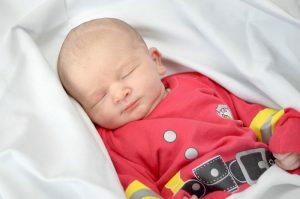 “William Thomas was born in June 2015. He is a very cheeky chappie. We gave him the middle name Thomas after my brother who died aged 19 in a car crash. But whenever we call him William Thomas, he replies, ‘That’s not my name I’m ‘Just William’’ which makes us smile. I would highly recommend Oxford Fertility. Everyone is so lovely, respectful and positive. We put our faith and trust in them and they made our own dreams come true. I can’t praise them enough. 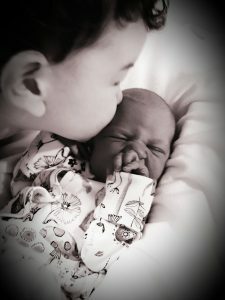 “We decided to return to Oxford Fertility last year to thaw and transfer our remaining embryo, as it felt right and treatment using a frozen embryo is also a lot less expensive. We didn’t think we would be lucky enough to work a second time, but it did, and Rosie arrived in January this year. “I feel as though William and Rosie aren’t just ours but everyone’s. As our friends and family have been there with and for us every step of our journey. It has meant so much. “I can’t wait to take Rosie into the school to meet everyone, as I feel as though she’s not just ours but everyone’s. The school is like a family to me, they have been there through my ectopic pregnancy, my miscarriages, and my birth to William. I remember taking William into school and everyone was in floods of tears of joy.